The 2017 Rose Bowl Winner is Magalie Durepos-Létourneau. 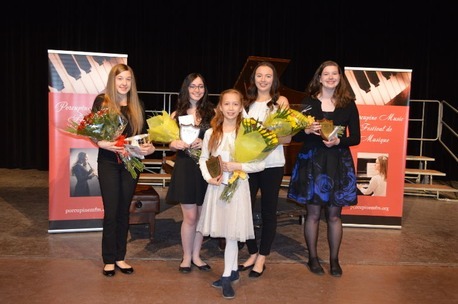 Magalie Durepos-Létourneau (left) is joined by the 2017 Festival Outstanding Performers (left to right) Katie Kirkpatrick - instrumental, Avenlea Cooper - strings, Julia Kim - piano and Emily Legasy - vocal. 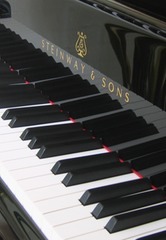 The Porcupine Music Festival de Musique would like to thank Mary Blais for her generous donation of the 2017 Rose Bowl scholarship.